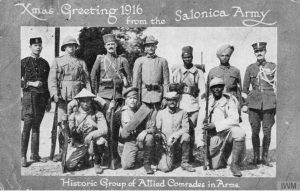 This project focused on Salonika, a campaign which took place in Greece and Macedonia (FYROM) from 1915 to 1918, involving soldiers from many parts of Britain and its former empire, fighting against Bulgarian, Austro-Hungarian and German forces in terrain combining rugged mountains and malaria-infested swamps. The artist Stanley Spencer went to Salonika as part of the Royal Army Medical Corps and after the war produced a series of sketches for a memorial chapel which came to fruition through patrons John & Mary Behrend and which became a memorial to another Salonika veteran, Lt. Harry Sandham who died in 1920 from the effects of malaria caught while he was in Salonika. Many think the murals are Spencer’s finest work. They offer a highly spiritual response to war, reflecting Spencer’s own deep spirituality, including a joyous representation of resurrection. In Cookham, his home village, the Stanley Spencer Gallery holds further works and his First World War letters. 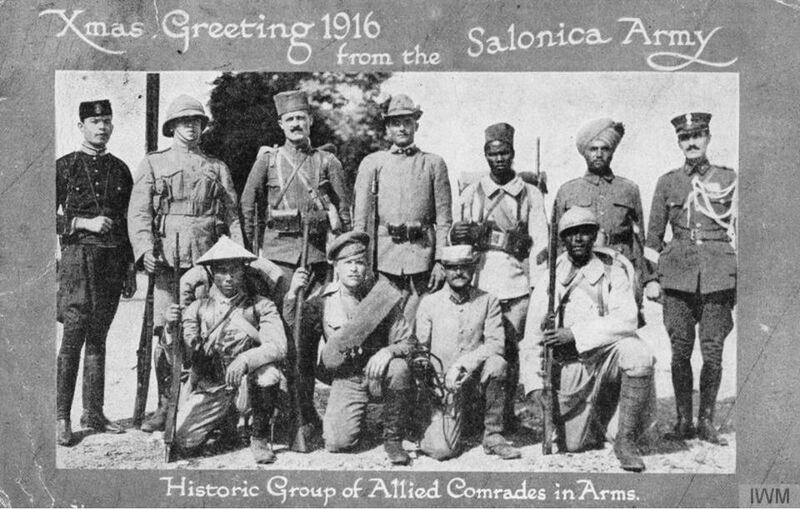 Using the extensive knowledge and experience of the Salonika Campaign Society and the Imperial War Museum, with additional material, including letters, photos and works of art supplied by Sandham and the nearby Stanley Spencer Gallery, we commissioned a short film about the Campaign, scripted and narrated by Alan Wakefield and produced by Khaki Devil. The film makes use of archive material and includes footage recently shot in Salonika. You can see the film here. The main community focus for ‘Salonika Stories’ was a visual art project. We worked with a group of military veterans living at one of the houses run by the Alabaré ‘Homes for Veterans’ charity in Salisbury, comparing their experiences with those of soldiers who served in the Salonika Campaign a century earlier. The group worked with artist Susan Francis over the winter of 2017-18 and the result is a fascinating exhibition at Sandham Memorial Chapel.